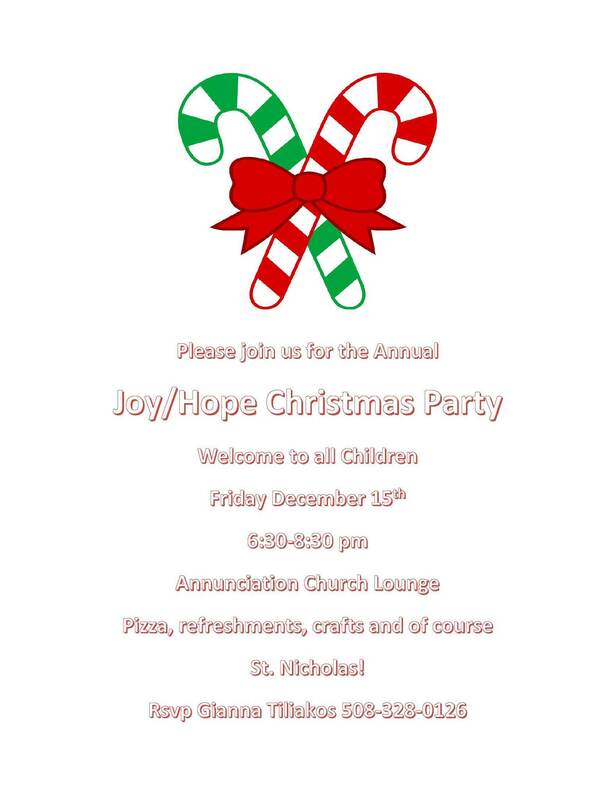 Joy/Hope Christmas Party. There will be pizza, refreshments, crafts, and a special visit from St. Nicholas!! !